An amazing person left us today. Eduardo Galeano’s writing about Latin America is a gift to all of humanity. If you’ve never read anything by Galeano, The Open Veins of Latin America is a good place to start. A reader recently brought to my attention that there’s no landing page that houses all of my publications on Occupy Wall Street. Now there is… Smucker, Jonathan Matthew. 2014. “Can Prefigurative Politics Replace Political Strategy?” Berkeley Journal of Sociology, 58:74–82 ——. 2013. “Occupy: A Name Fixed to a Flashpoint.” The Sociological Quarterly 54(2):219–225. ——. 2012. “Radicals and the 99%: Core and Mass Movement.” Pp. 247-253 in We Are Many: Reflections on Strategy from Occupation to Liberation, ed. by K. Khatib, M. Killjoy and M. McGuire. Oakland, CA: AK Press. ——. 2012. “Falling in Love with Ourselves.” n+1 Occupy! (An OWS-Inspired Gazette), September 2012, pp. 28-29. ——. 2012. “A Practical Guide to Co-option.” n+1 Occupy! (An OWS-Inspired Gazette), May 2012, pp. 5-8. ——. 2012. “The Tactic of Occupation and the Movement of the 99 Percent.” Progressive Planning Magazine, Spring 2012, pp. 6-9. Michael Premo and I have a piece in The Nation this week: “What’s Wrong With the Radical Critique of the People’s Climate March”. We didn’t write the title. Maybe a more accurate title—which I saw in a Tweet of the article—would have been “a radical critique of a radical critique of the People’s Climate March.” (Then again, as a title, that might have come off as sectarian/ultraleftist, which is exactly what we’re taking issue with.) We argue that “Radicals who are serious about political change—and not just engaging in self-righteous sideline critique—would be wise to learn” from the Climate Justice Alliance and Flood Wall Street’s strategies in relation to the larger People’s Climate March. You can read the whole piece here. Figure from a draft chapter of hegemony how to. What do contact with extraterrestrials, the return of Jesus Christ, apocalypse, and revolution all have in common? In a sense, they are all imagined redemptions — epic reset buttons for humanity. Onto these we can pin our heartbreaks and frustrations with the world as it is, with all its suffering, mire and messy details. Any of these redemptive apocalypses can serve as the X that solves the daunting problem of our sense of impotency. This messianic X — this unknown and imaginary seismic intervention — might help us to hold onto a kind of hope despite overwhelming evidence of a hopeless reality. Somehow, someday, something will occur that stops the madness, and we will be able to begin anew. We need hope — in life and also in political mobilization. Hope is an essential ingredient in scaling up collective action beyond the limited pool of martyrs, saints and counter-cultural usual suspects. 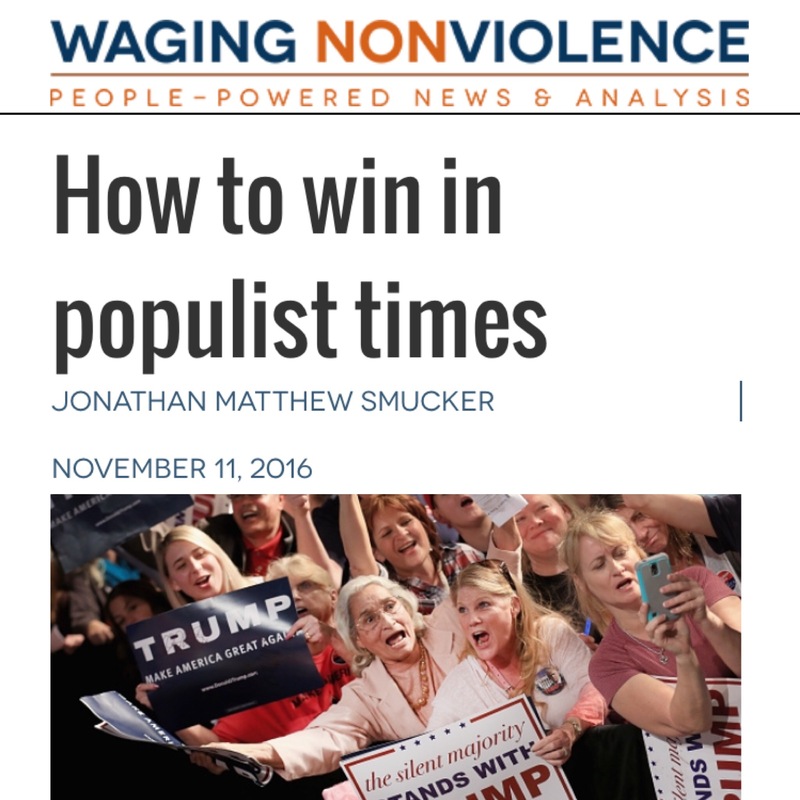 Organizing large-scale collective power requires something of an art of raising popular hopes and expectations. A long-term vision of a radically transformed world can be an important grounding for such hope. And isn’t such radical transformation precisely the idea of social and political revolution? Isn’t it a bit unfair to include revolution as an item on the same list as the Biblical end of days? Perhaps it is a bit unfair. 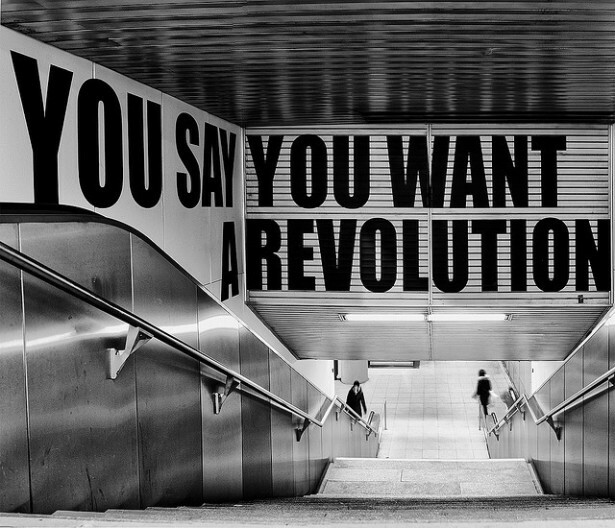 It depends on whether we mean revolution as horizon or revolution as apocalypse. Do we imagine a revolutionary restructuring of power relations in society as an all-or-nothing totalizing moment or as an aspirational horizon, something to always be moving towards? If the former, then what incentive do we have to study the details of the terrain where we are presently situated? Why would we bother to strategize about overcoming the particular obstacles that block our way today, if we believe that the accumulation of all obstacles will ultimately add up to a grand crisis that will somehow magically usher in a new era? Believing that things will “have to get worse before they get better,” we may become disinterested in — perhaps even sabotaging of — efforts to improve real-life conditions in the here and now. After all, why put a band-aid on a gaping wound? Why prolong the life of an oppressive system? With such logic we can excuse ourselves from the trouble of getting to know our political terrain. It is, after all, the very mess we hope to avoid.